Email isn’t dead, yet. 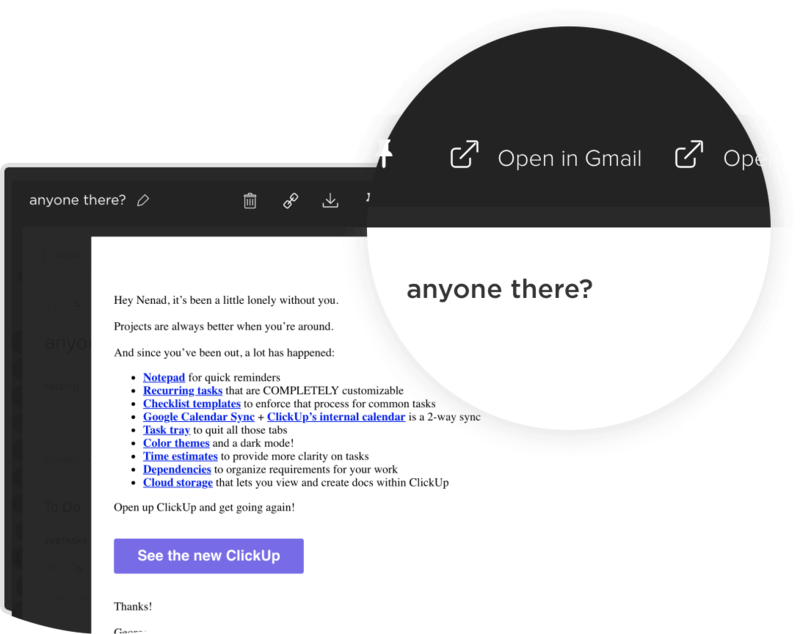 If you still use email, you’ll love what you can do with this feature in ClickUp! 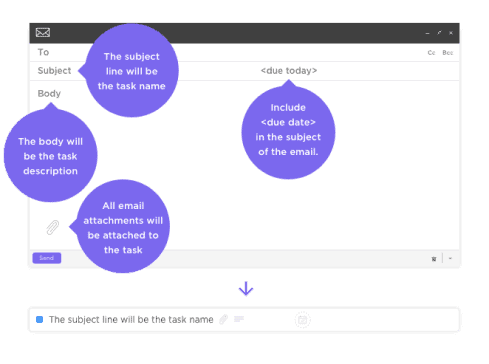 Create new tasks by sending emails to Lists. Add details like description, due dates and attachments. Quickly comment and attach files. 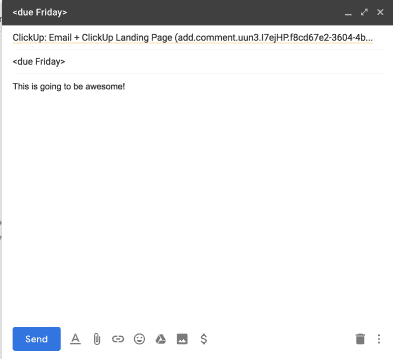 Send emails directly to tasks as new comments with a full HTML rendering of the email. 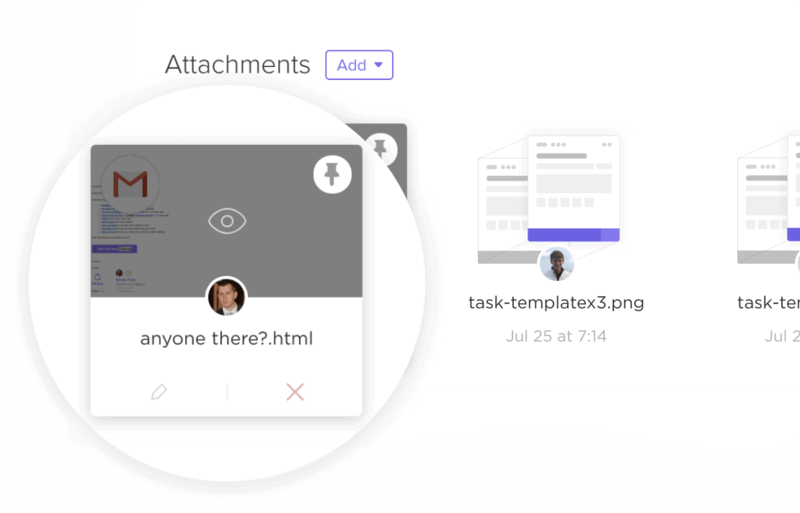 You may even include email attachments to upload directly to the task. 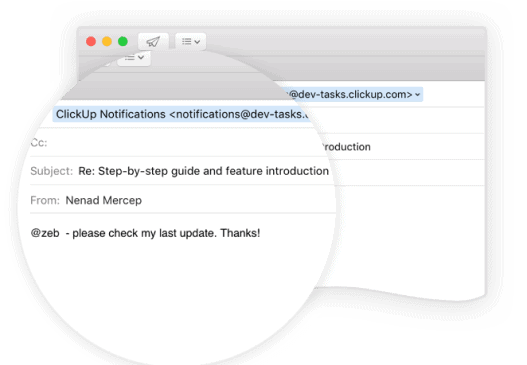 Now, you can reply to notification emails about ClickUp tasks. Replies are added as comments and ClickUp will even upload attachments for you! Schedule tasks from your inbox. Add a due date to the subject line of your email to schedule a task for a specific date. Capture entire emails and even upload attachments. 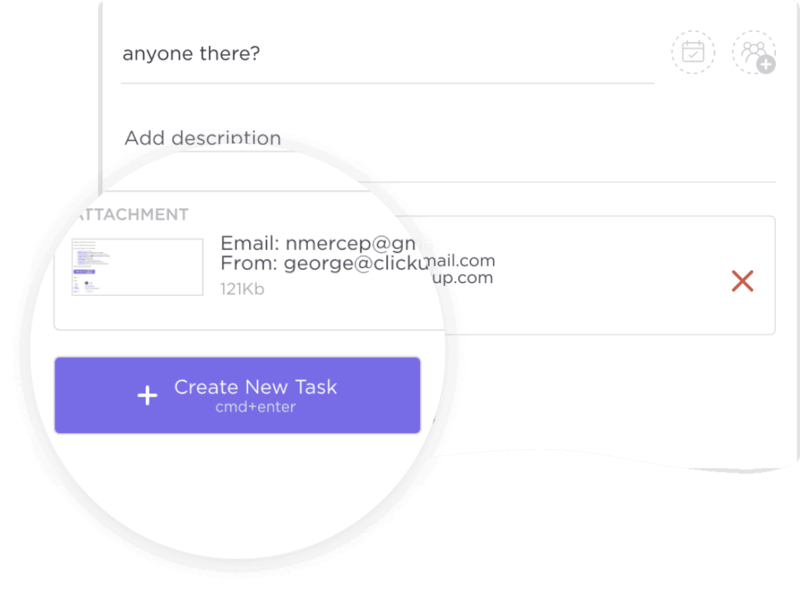 Attach emails to tasks you’ve already created. 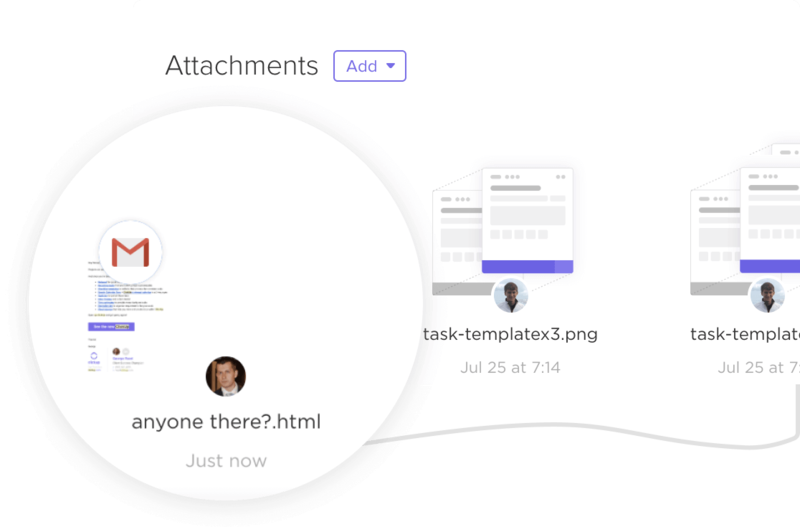 Create a rich task full of details and attachments with just one click. You’ll get a thumbnail preview, full html, and even attachments in ClickUp. 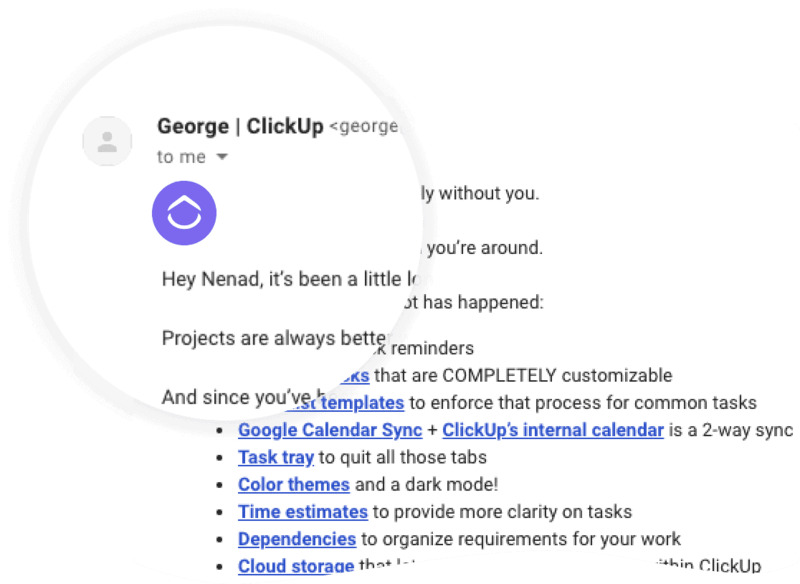 Jump right back into your email thread with a quick link from ClickUp. Save your task and List addresses to your email contacts and easily add tasks and comments from emails on the go. Set up mail forwarding rules to automate the creation of tasks when new emails arrive in your inbox. 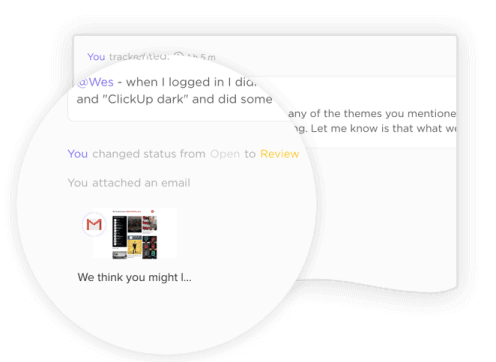 Our Chrome extension creates new tasks from emails, attaches emails to tasks, and much more!